Bryan here from Great Fermentations. I was recently working on our annual Fall Newsletter for 2018, and I found myself stuck on what to write. At the time of writing the newsletter it was an 85 degree day in October (not the optimal brewing temperature! 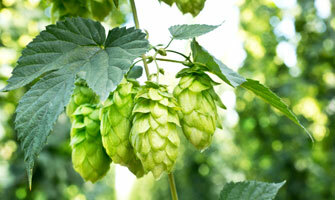 ), so coming up with a fresh idea about brewing beer was a bit challenging. I figured if I needed some motivation, my customers did too so I started to write about something that had been on my mind for a while. This piece is a longer version of what I wrote in that physical newsletter (they charge by the page in that industry! ), and I feel like subject of this will start to make its way into many of the things we do in the future. I want you to create your very own beer style. I’m not talking about creating something for the masses, or an award winner that will be loved by friends and judges alike (although, kudos to you if you do!). Rather, I want you to create the perfect beer that is perfect for you, brewed your way and with the ingredients YOU want. I understand that this may sound a bit corny and very call-to-arms/braveheart-ish, but just hear me out. As the second generation owner of Great Fermentations, I see and hear a lot of what’s going on in the brewing minds of my customers. 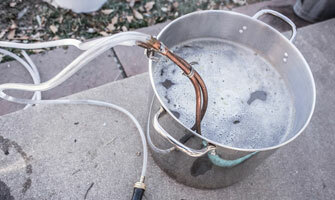 Not only from my current day-to-day time here, but also from the years spent helping my parents as a kid, back before homebrewing was as cool as it is now. What I found then and what I still find today, is that many of you are just stuck! Stuck on what to brew and how to brew it, all because you are worried about what others may think of your beer, or what others are saying about HOW one should brew beer. My goal with this challenge is to get you UN-stuck from indecision, and free you up to brew the best beer for you. Don’t get me wrong, there are some tried and true methods and ingredients to use when brewing your beer, but many IF NOT MOST of the information you read online or in a book is a matter of opinion! While some experiments offer scientific evidence to back up their findings, at the end of the day they all fail to research the most important thing, and that is what the beer does FOR YOU! Brewing beer is a hobby, and what it does for you is what matters most. I know some of you more “traditional” brewers will scoff at what I just said, but I want you take a minute and truly ask yourself why you brew how you brew. Focus on a specific aspect of your brewing, and really break down the origins of what you do, and I think you’ll find that it is based on opinion, whether it be yours or someone else’s. It is what works for you, based on your experience, your knowledge, your surrounding, and ultimately it creates a beer that you like. Simple as that. We get to try all sorts of beer working at a homebrew shop, and a lot of the beers I have tried have helped shape my opinion on this, but none more so than a Peanut Brittle Brown Ale made by one of our longtime customers Jeremiah Tyson. This beer is so good, and yet if you read the recipe, it breaks SO many “rules”, like using RO water without minerals, a no-sparge method, and keeping diacetyl. He landed on this beer by first having the idea, and then he continued testing different combinations and tinkered with this and that, until he landed on a true winner; something that not only he loves to drink but others do as well. So, break free from all that holds you back from brewing your best beer and try something new. Don’t worry about what that troll in the online forum thinks about your recipe idea or your custom brewing setup. Have you ever tried that guy or girls beer anyways? Chances are they are just as stuck as you are and are being held back by other peoples opinions! By all means, if you have questions about what you’re trying to do, just give us a call (317-257-9463) or shoot us an email (click here »). We would love to lend our experience as you create your best batch. We’ve made lots of beer, and have screwed up a lot as well! That’s part of the journey, and we’d love to help you out on yours.